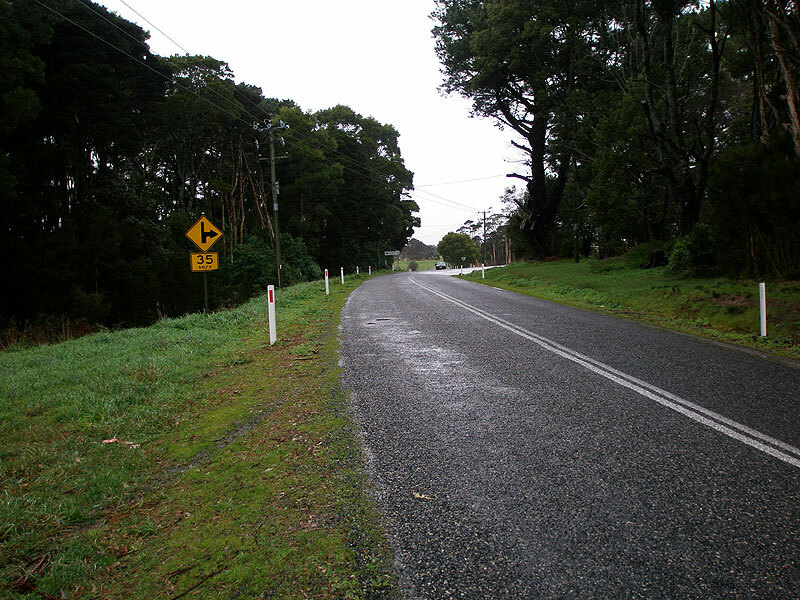 Deteriorating B25 fingerboards, strangely not facing a road, at the intersection of King Island Main Rd (B25) & South Rd (C201), 5km east of Currie. Source: Peter Renshaw, August 2007. 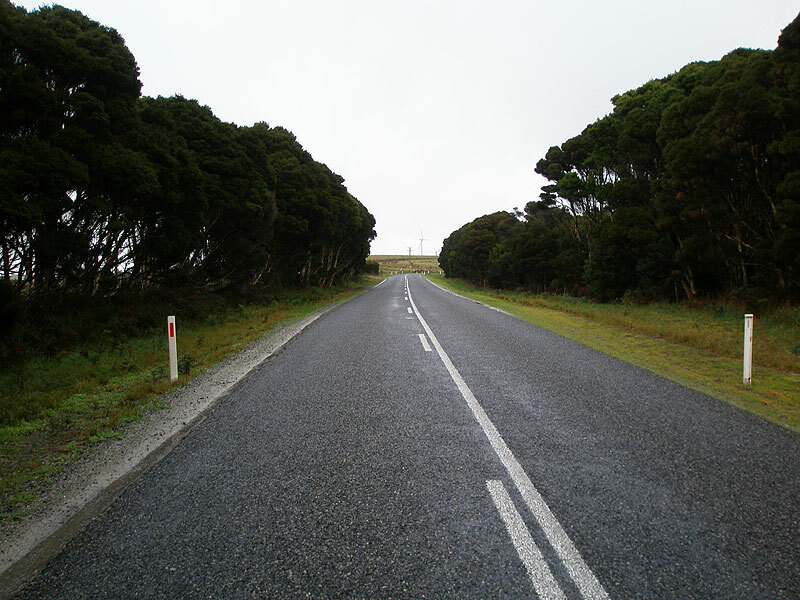 B25 is the major route on King Island, located off the north-western coast of Tasmania. 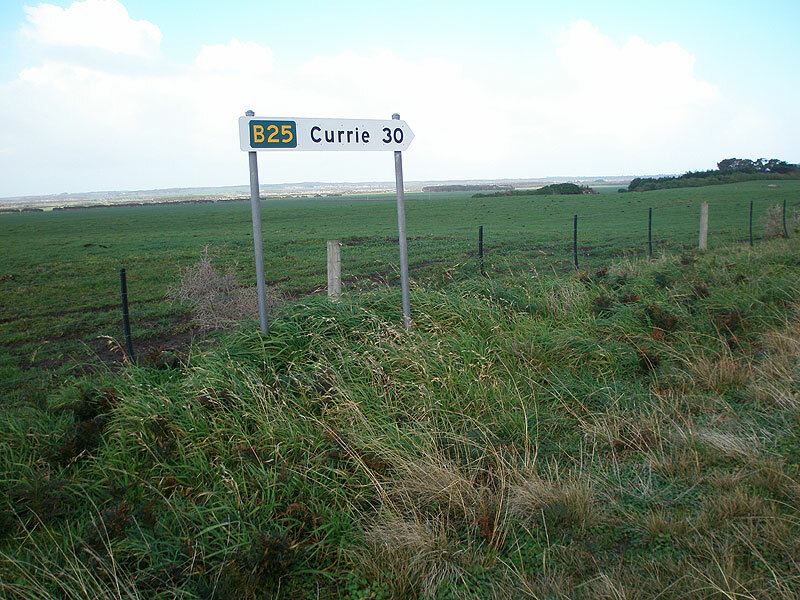 Beginning at Grassy, a former mining village in the south-east of the island, B25 heads west to Currie, which is the largest population centre of the island. 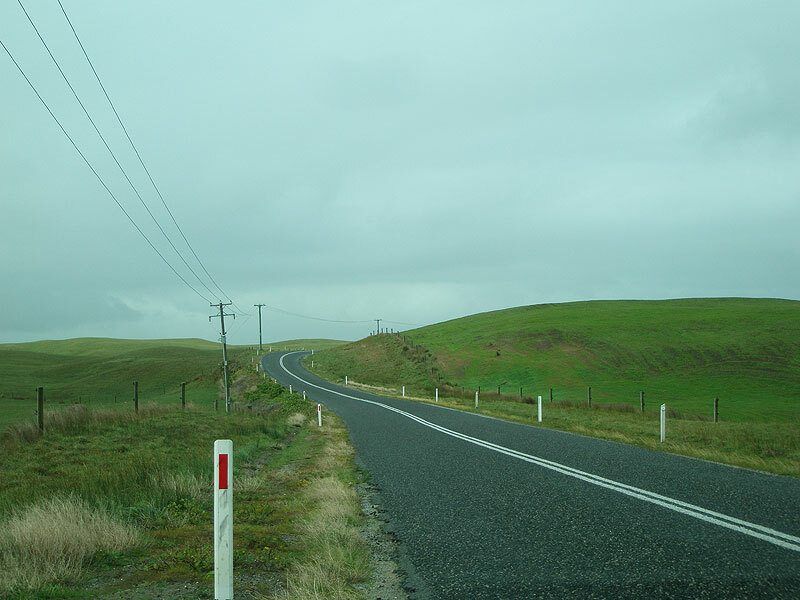 North of Currie, the route passes through undulating farmland and low-lying areas, as well as passing the famous King Island Dairy at Loorana. B25 terminates at the entrance to Cape Wickham Lighthouse, one of the tallest Lighthouses in the southern hemisphere, located near the north-west tip of the Island. 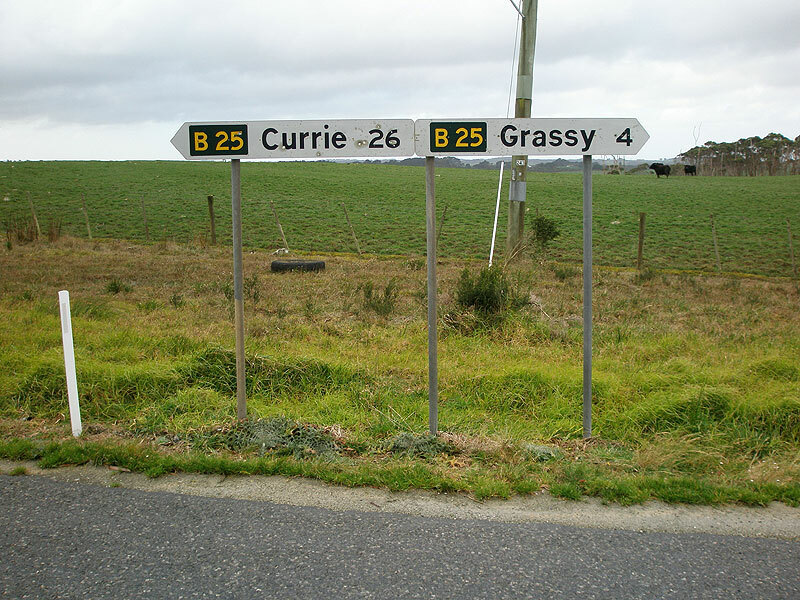 B25 is a good standard, sealed rural main road from Grassy, through Currie, to Egg Lagoon. 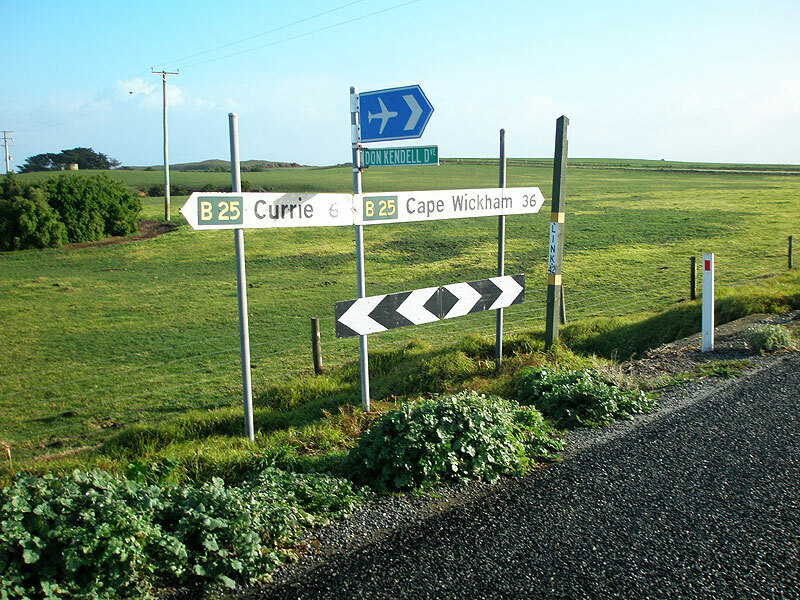 At the intersection with Haines Road, Egg Lagoon, the route reverts to Council ownership and loses the sealed surface - the remaining 7km to Cape Wickham being a narrow, winding gravel road. 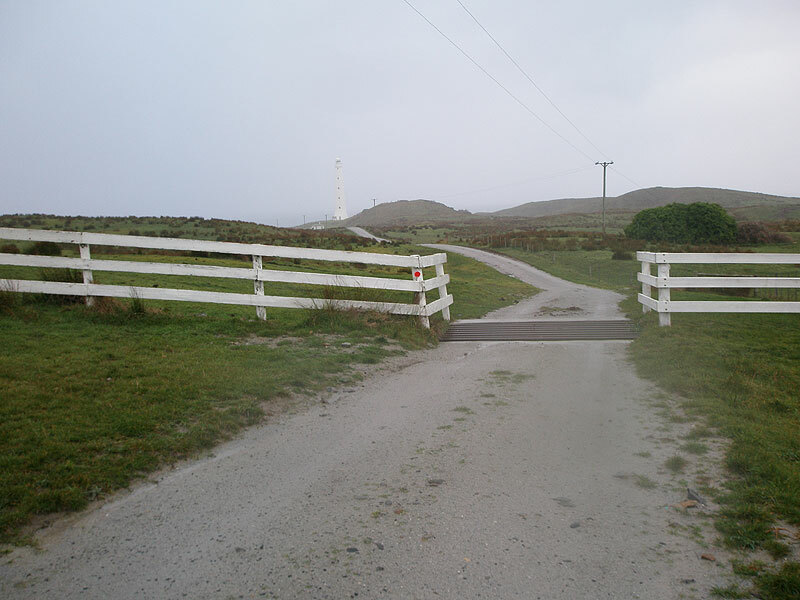 Looking north at the entrance to Cape Wickham Lighthouse - this is the northern end of Cape Wickham Rd and the northern end of route B25. Cape Wickham Rd (B25) looking south from the entrance to Cape Wickham Lighthouse. The unsealed section of the route north of Egg Lagoon is narrow but fairly well graded. 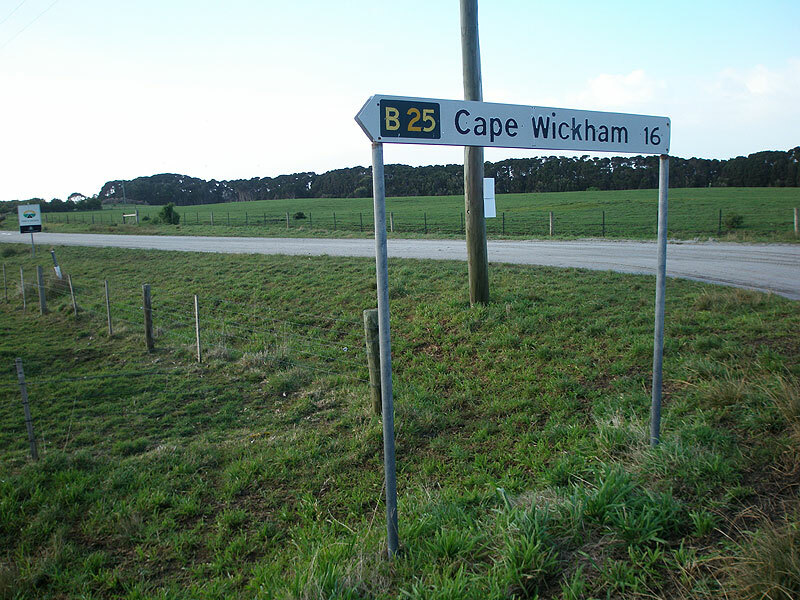 Cape Wickham Rd (B25) looking south near Lake Wickham. 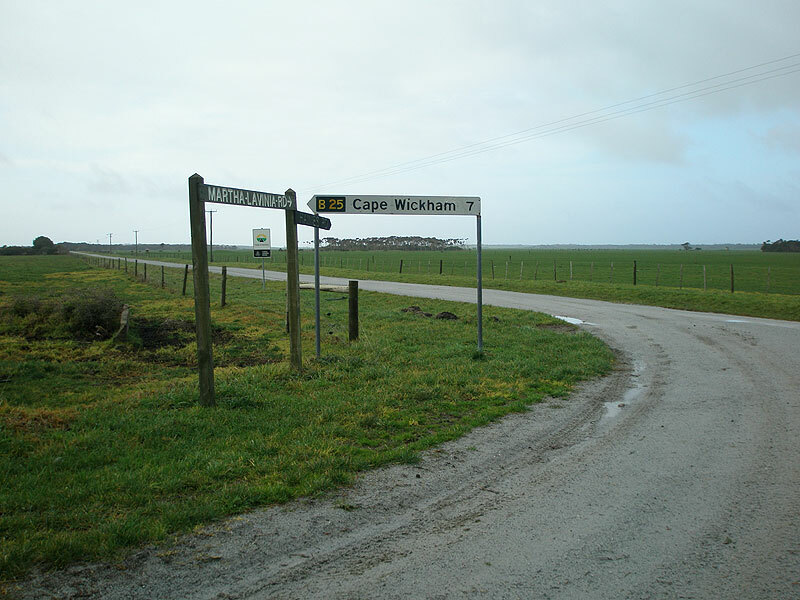 Rocky Cape Rd (B25) looking north from the intersection with King Island Main Rd (B25) and Haines Rd, Egg Lagoon. 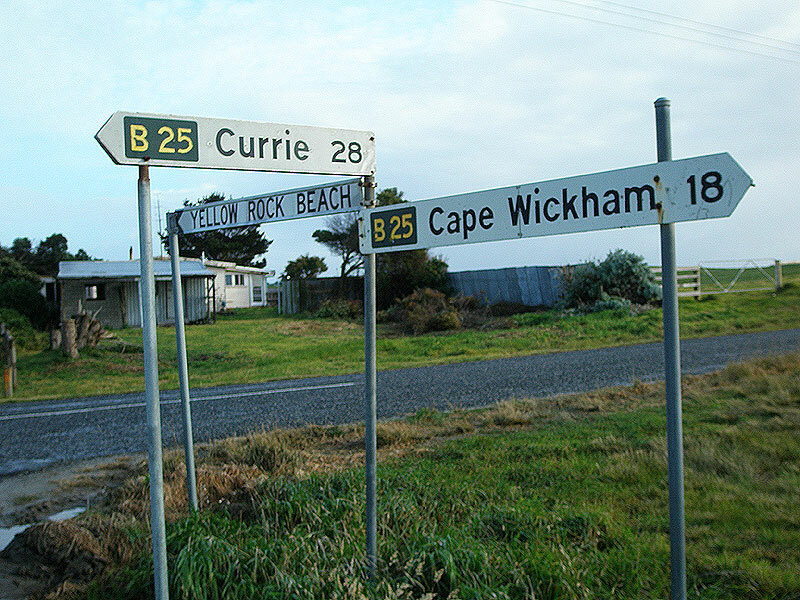 The sign warns of the narrow gravel road which takes B25 the final 7km north of Cape Wickham Ligthouse. Fingerboard signs facing northbound traffic at the intersection of King Island Main Rd (B25), Rocky Cape Rd (B25) & Haines Rd, Egg Lagoon. 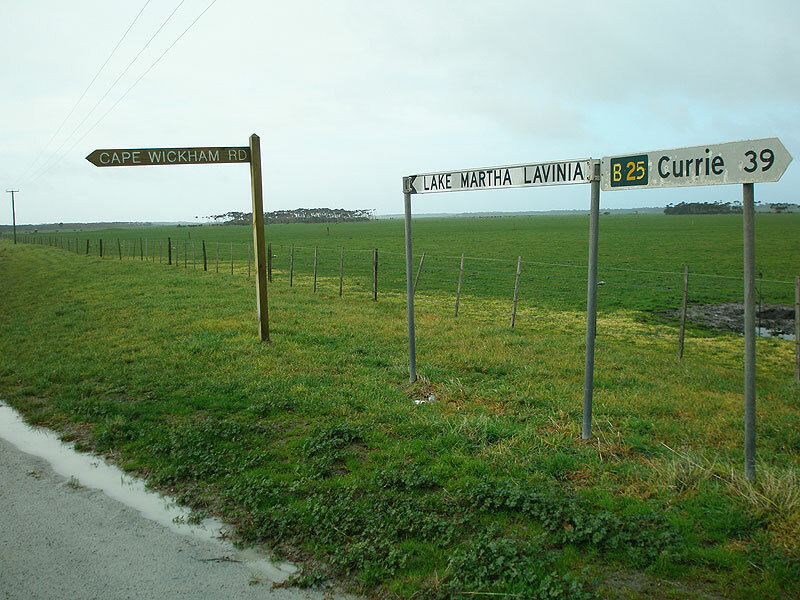 Fingerboard signs facing southbound traffic at the intersection of King Island Main Rd (B25), Rocky Cape Rd (B25) & Haines Rd, Egg Lagoon. 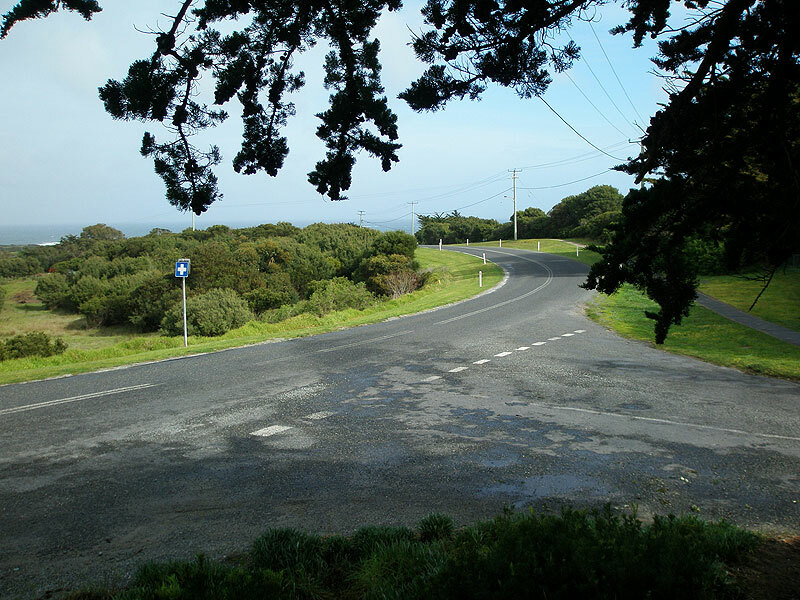 This intersection is the northern extremity of sealed road on the Island. King Island Main Rd (B25) looking south across Egg Lagoon. 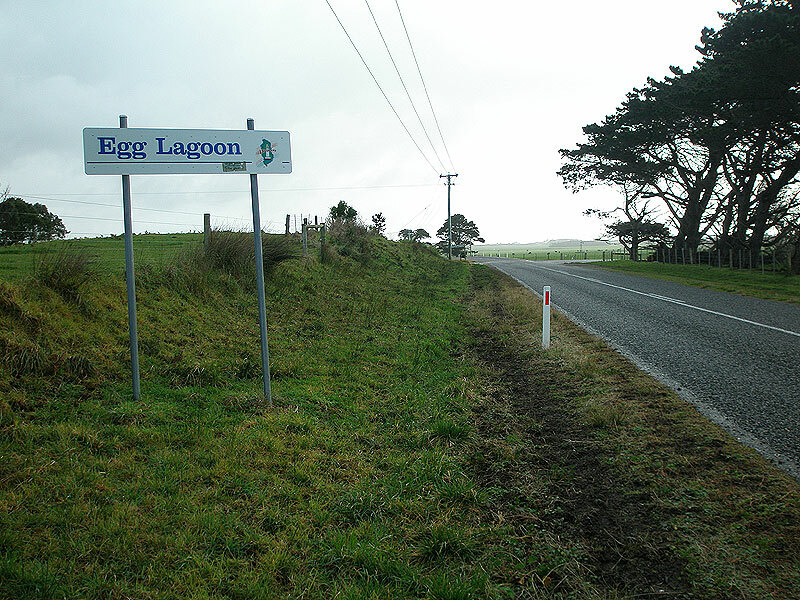 Typical King Island locality signage, northbound on King Island Main Rd (B25) approaching Egg Lagoon. 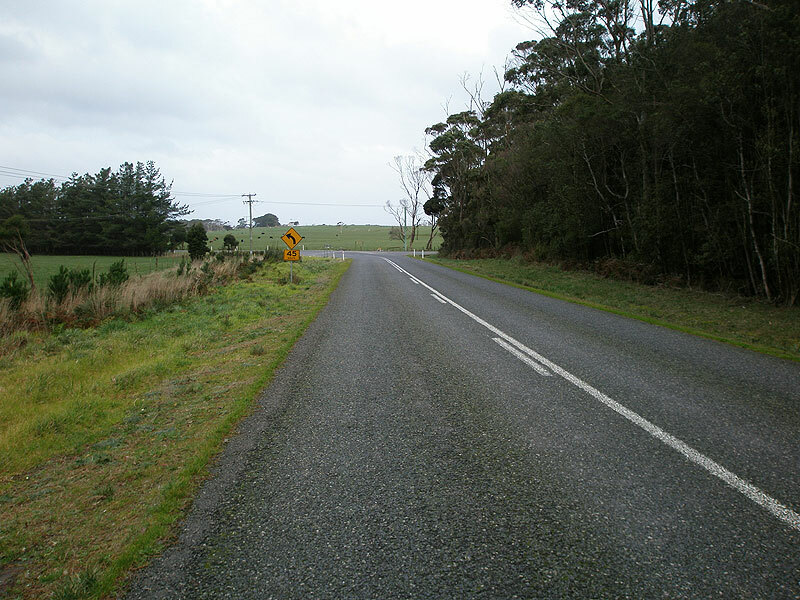 King Island Main Rd (B25) looking north at the intersection with Scotts Rd & Mansons Rd, approximately 34km north of Currie. Fingerboard sign facing northbound traffic at the intersection of King Island Main Rd (B25) & East Wickham Rd, Yambacoona. Brand new fingerboard sign facing southbound traffic at the intersection of King Island Main Rd (B25) & East Wickham Rd, Yambacoona. 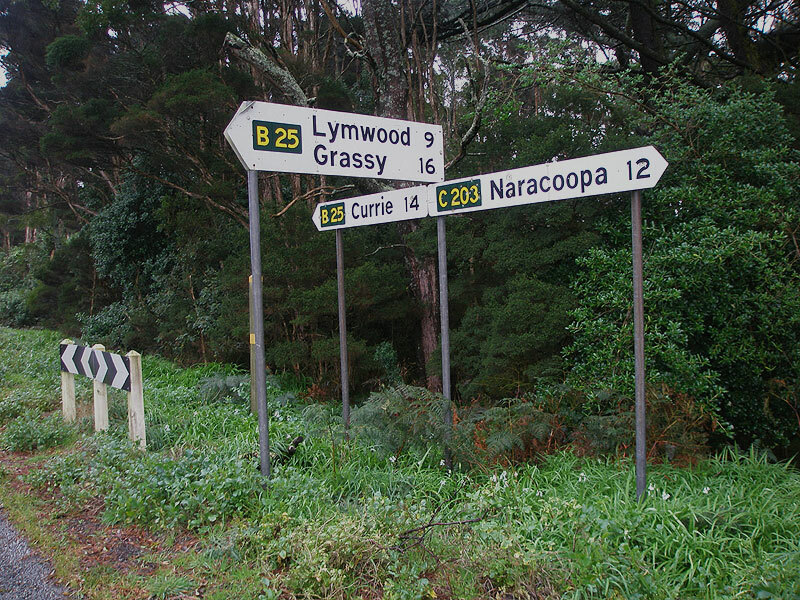 Fingerboard signs at the intersection of King Island Main Rd (B25) & North Yellow Rock Rd, Yambacoona. 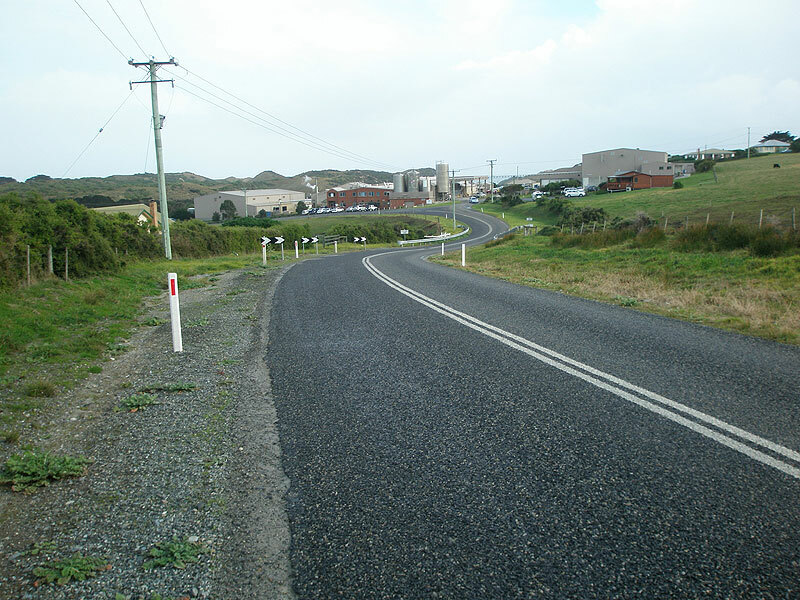 King Island Main Rd (B25) looking south towards the locality of Reekara. King Island Main Rd (B25) looking south to the bridge over Pass River, Bungaree. 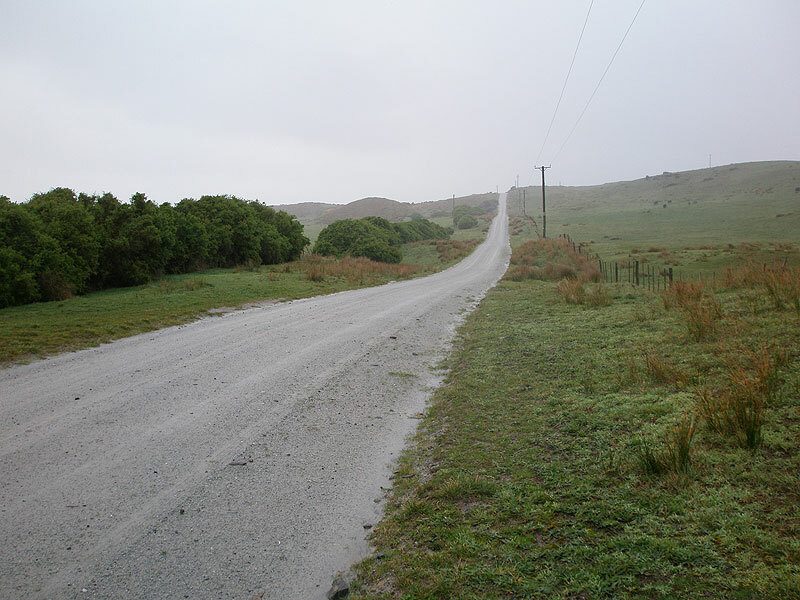 King Island Main Rd (B25) looking south near Heddles Rd, Loorana. 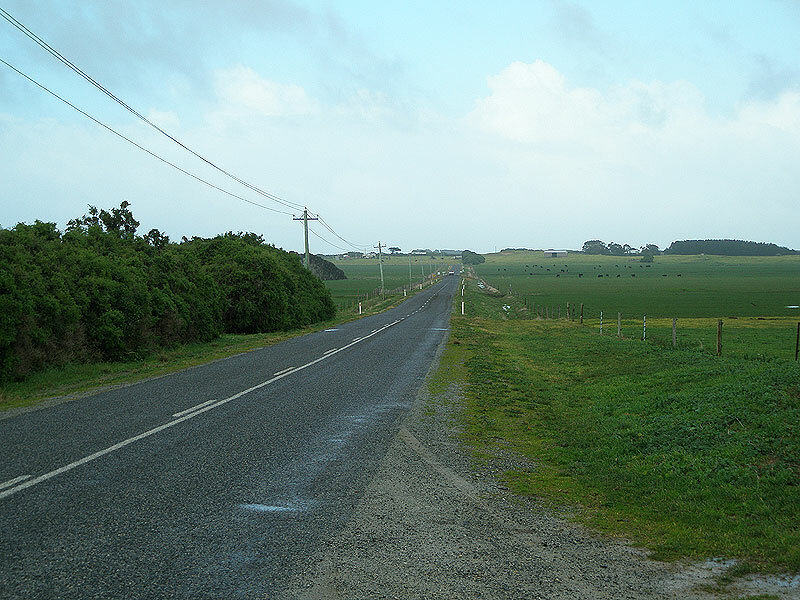 King Island Main Rd (B25) looking south to the famous King Island Dairy at Loorana. 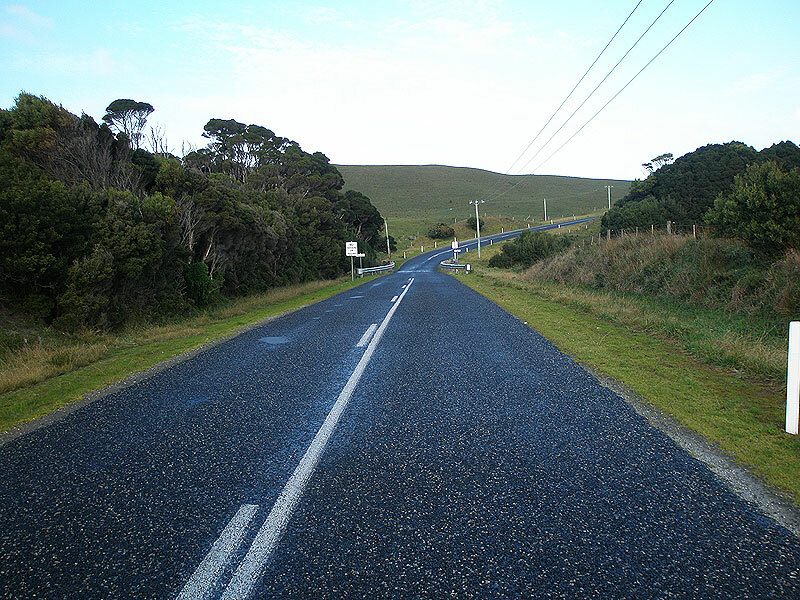 Unusual line marking on King Island Main Rd (B25), heading south from King Island Dairy at Loorana. 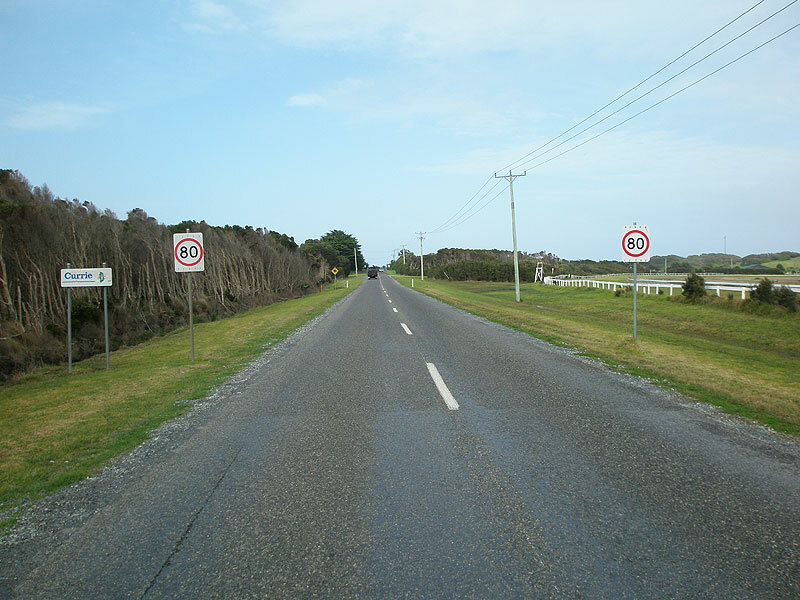 Fingerboard signs at the intersection of King Island Main Rd (B25) & Don Kendell Dr, which is the northern access to King Island Airport. 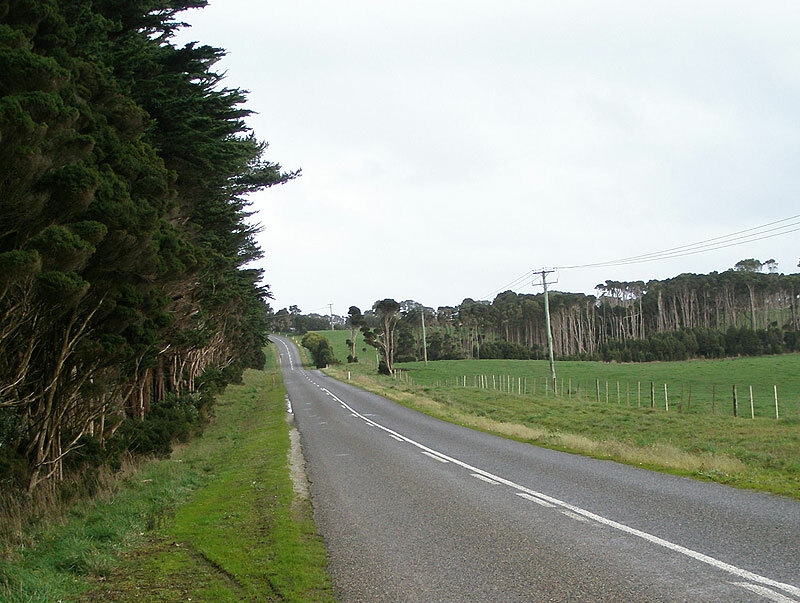 King Island Main Rd (B25) looking south on the northern outskirts of Currie. 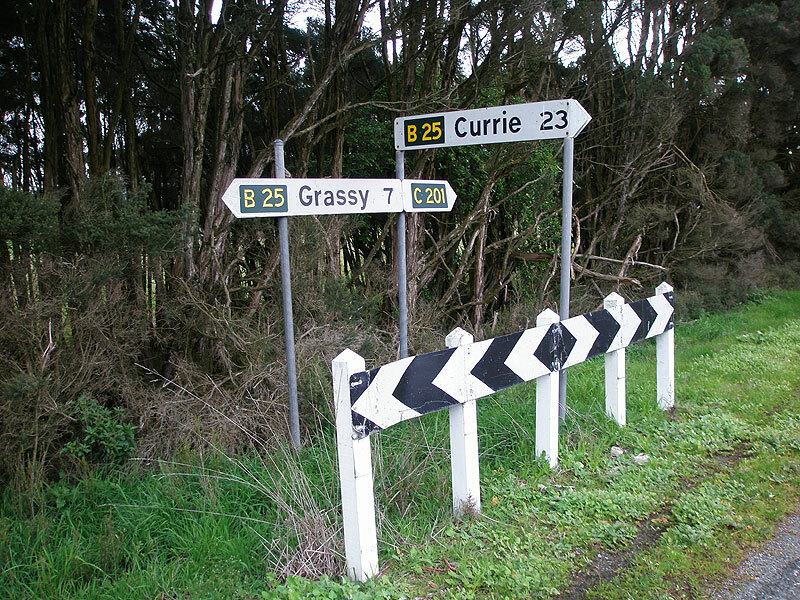 Fingerboard signs at the intersection of King Island Main Rd (B25) & Fraser Rd (C202), on the northern outskirts of Currie. 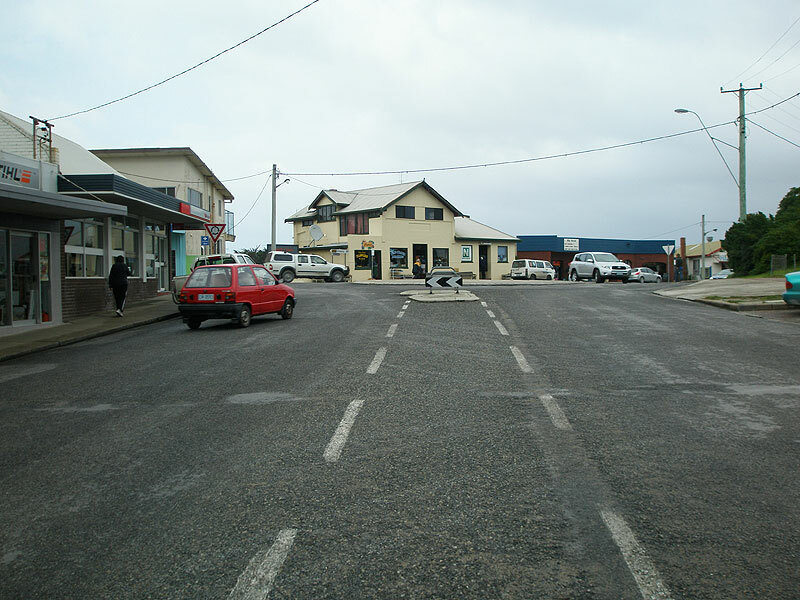 King Island Main Rd/Edward St (B25) looking north in Currie town centre. 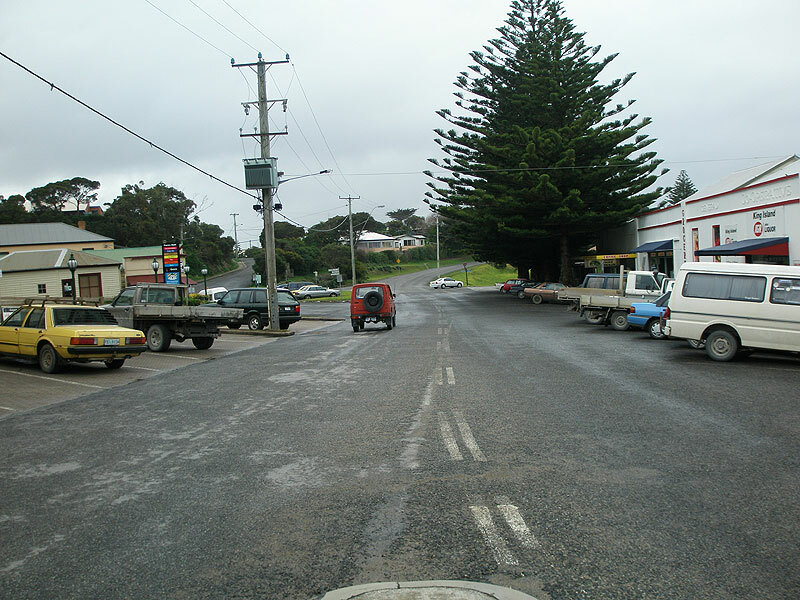 King Island Main Rd/Edward St (B25) looking south approaching the intersection with Main St. B25/King Island Main Rd turns left here to heard towards Grassy. New fingerboard sign at the intersection of Edward St (B25) & Main St (B25) in Currie. 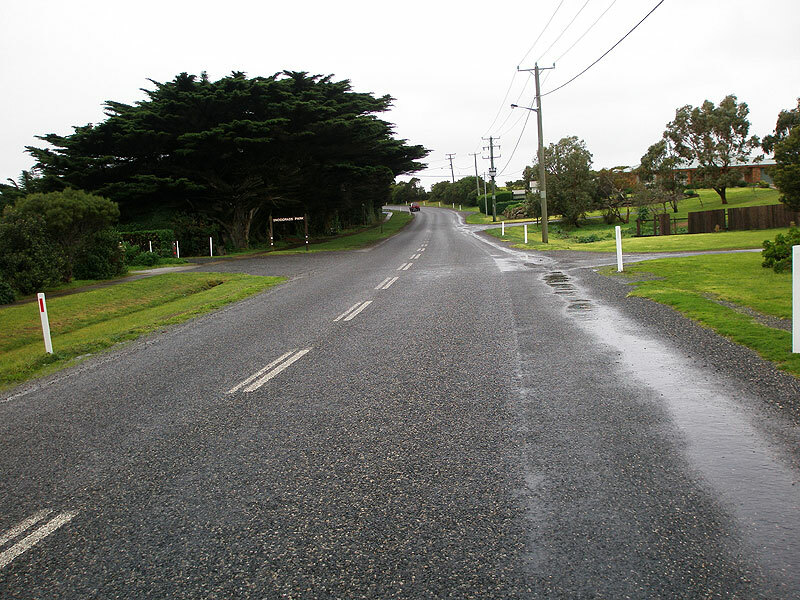 King Island Main Rd (B25) looking east near Davis St as it leaves Currie towards Grassy. King Island Main Rd (B25) looking west outside the entrance to King Island District Hospital with a glimpse of the Southern Ocean in the background. 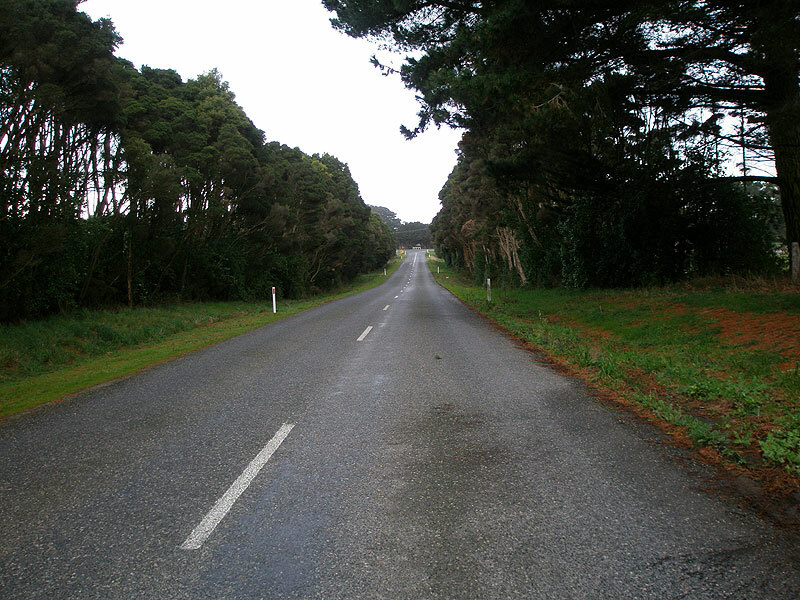 King Island Main Rd (B25) looking west into Currie. New fingerboard signs at the intersection of King Island Main Rd (B25) & Wicks Rd, which is the southern access to King Island Airport. Deteriorating fingerboard signs, strangely facing the bush and not a road(! 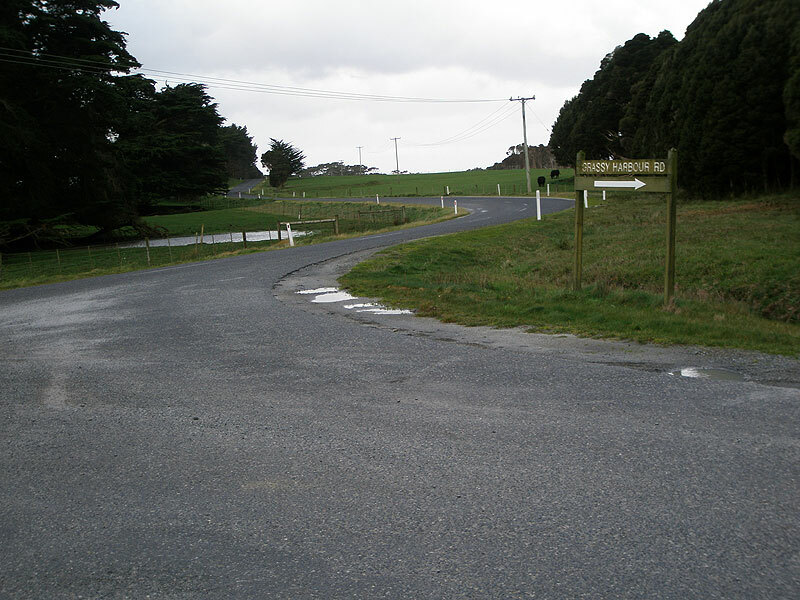 ), at the intersection of King Island Main Rd (B25) and South Rd (C201). Note that there are no C201 signs at this intersection. 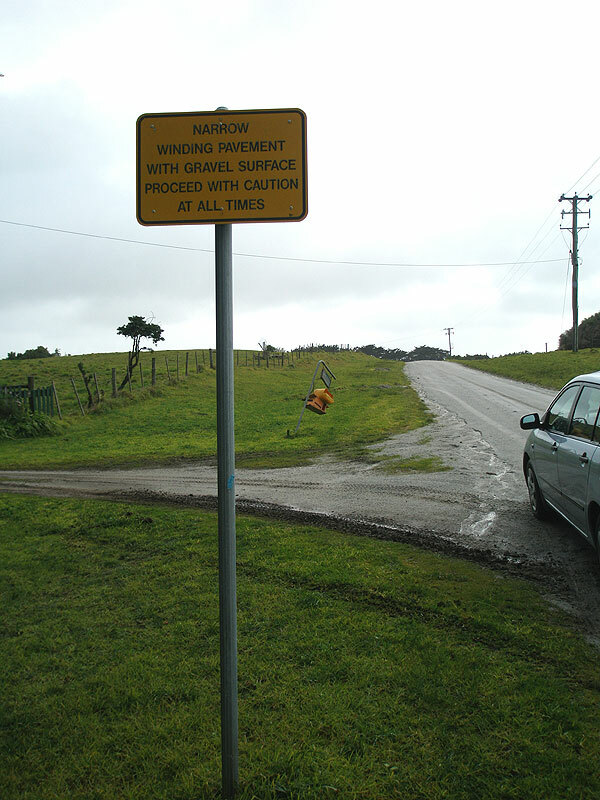 The other side of the fingerboard assembly at the intersection of King Island Main Rd (B25) & South Rd (C201). Interestingly, these fingerboards appear to be newer than those on the reverse side. King Island Main Rd (B25) looking west towards the intersection with south Rd (C201) near Nugarah. 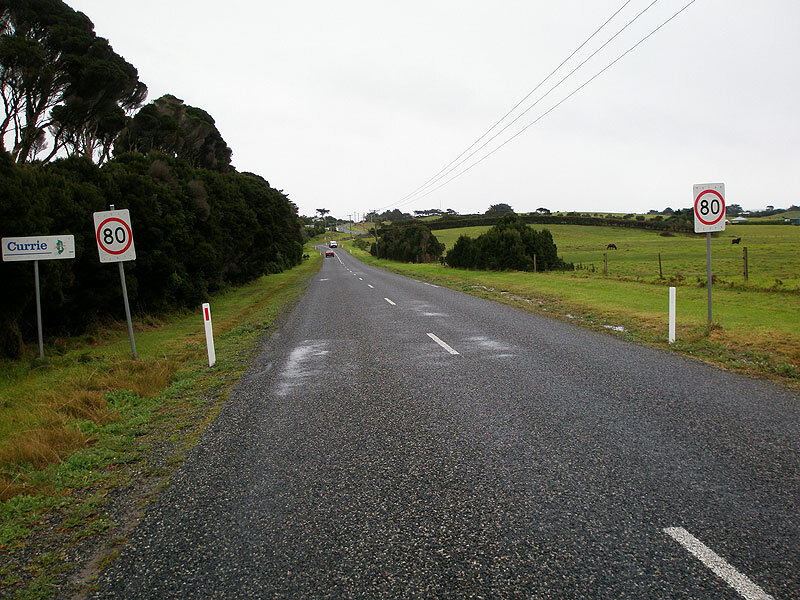 King Island Main Rd (B25) looking east approaching the intersection with Pegarah Secondary Rd (C203) at Pegarah. 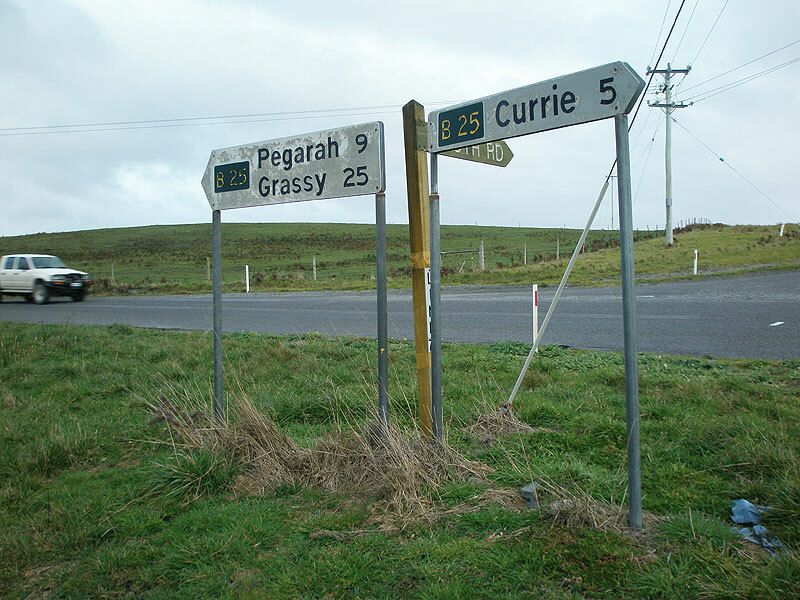 Fingerboard signs at the intersection of King Island Main Rd (B25) & Pegarah Secondary Rd (C230), Pegarah. 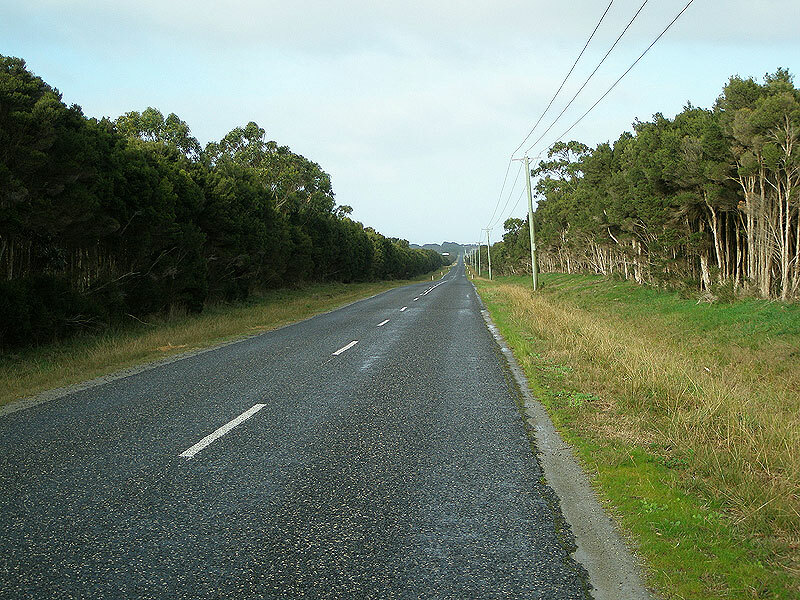 King Island Main Rd (B25) looking south near Lancaster Rd, 2km south of Pegarah. 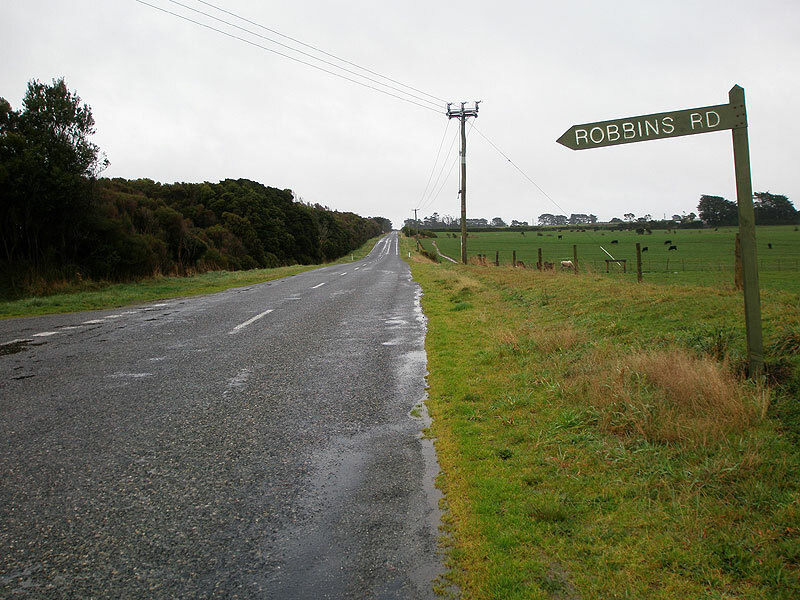 King Island Main Rd (B25) looking south at the intersection with Robbins Rd, 4km south of Pegarah. 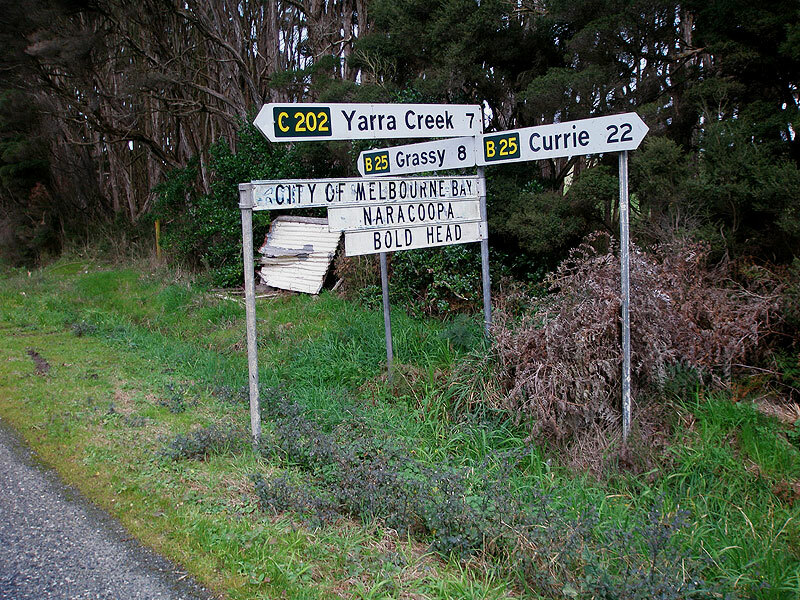 Fingerboard signs at the intersection of King Island Main Rd (B25) & Yarra Creek Rd (C202), 8km north west of Grassy. 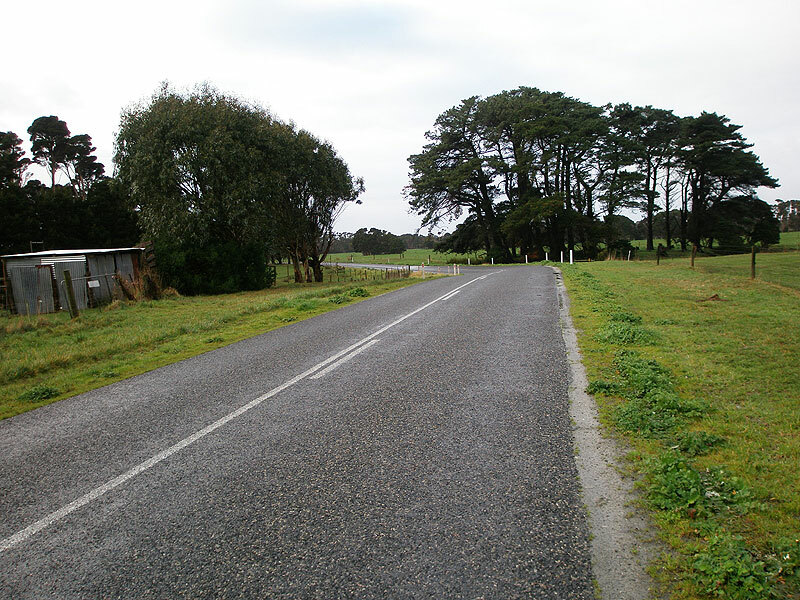 King Island Main Rd (B25) looking south between Yarra Creek Rd (C202) and Old Grassy Rd (C201), the intersection with the latter being at the end of this straight. 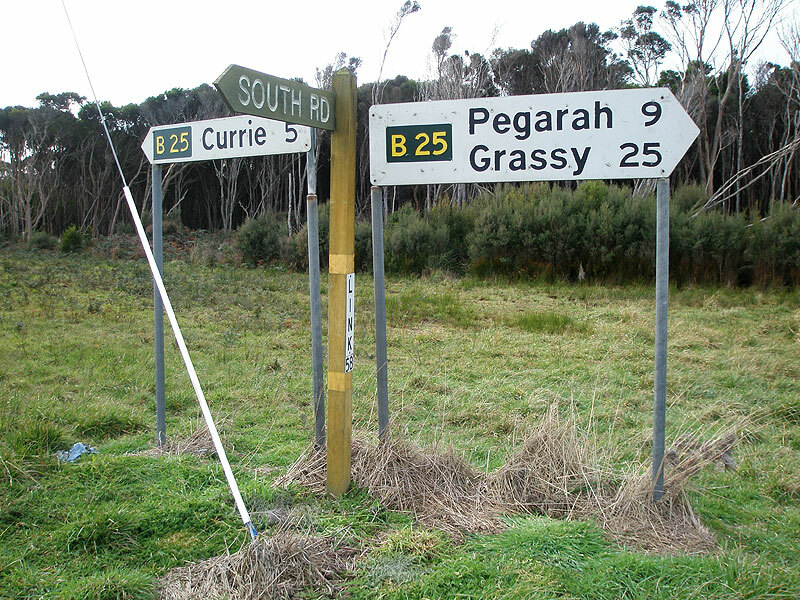 Fingerboard signs at the intersection of King Island Main Rd (B25) & Old Grassy Rd (C201), 7km north west of Grassy. 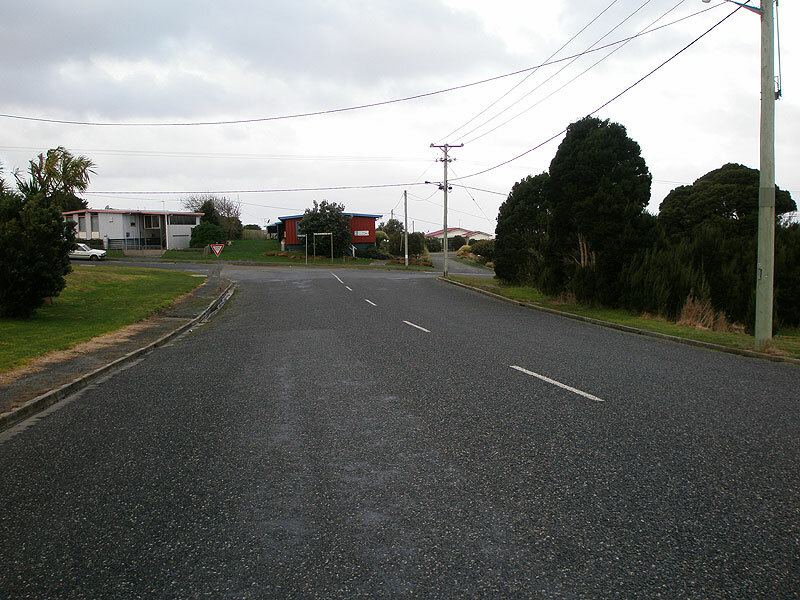 King Island Main Rd (B25) looking east from near the junction with Old Grassy Rd (C201). 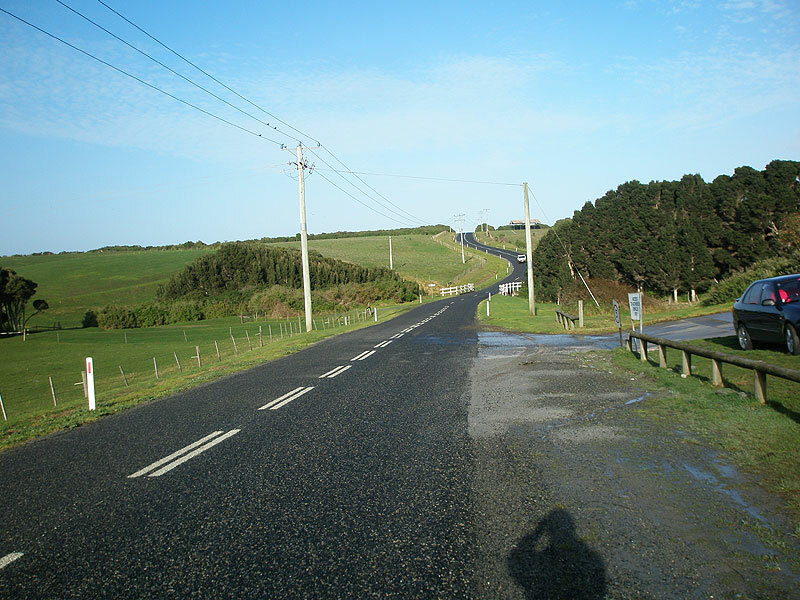 King Island Main Rd (B25) looking east approaching the junction with Mt Stanley Rd, which is possibly route C245. 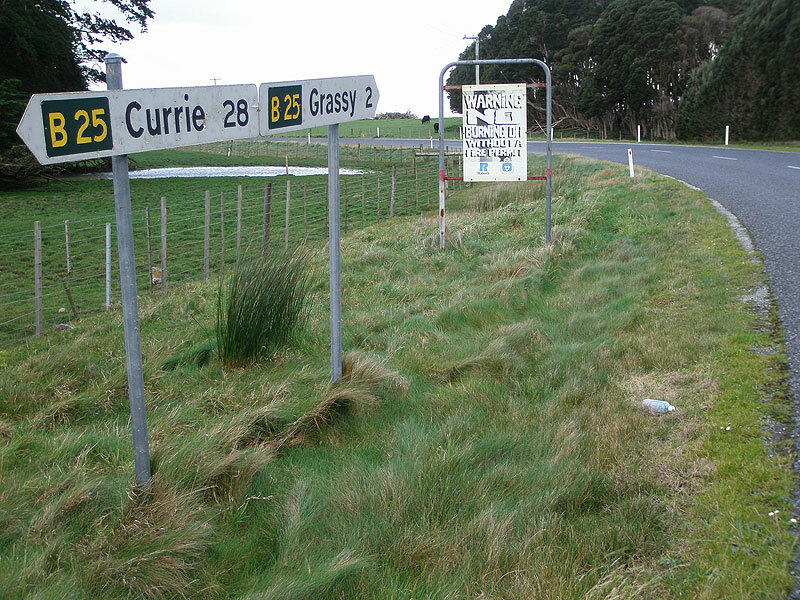 Fingerboard signs at the intersection of King Island Main Rd (B25) & Mt Stanley Rd, 4km west of Grassy. 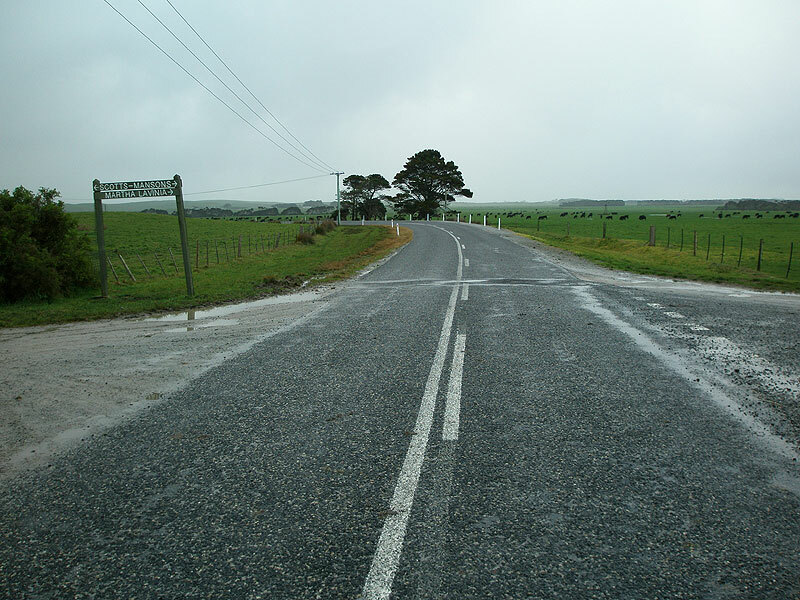 King Island Main Rd (B25) looking east from the intersection with Grassy Harbour Rd, 2km west of Grassy. 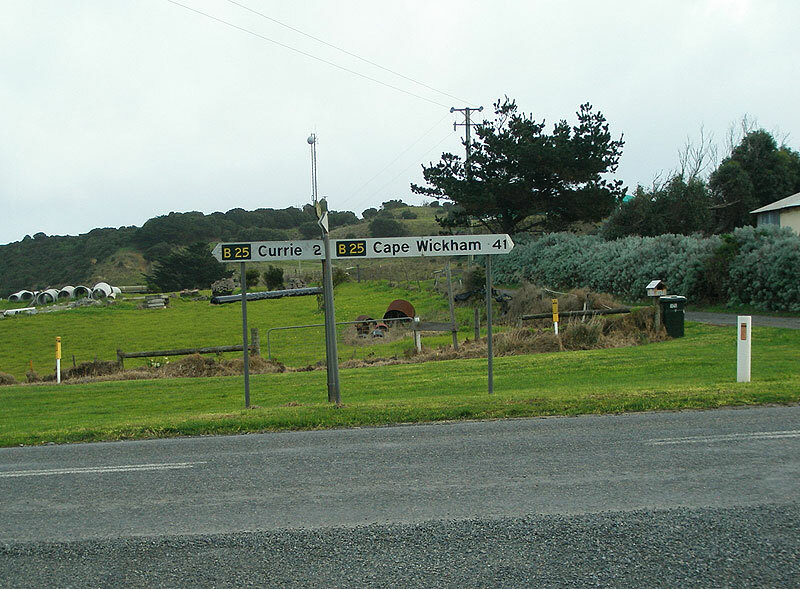 Fingerboard signs at the intersection of King Island Main Rd (B25) & Grassy Harbour Rd, 2km west of Grassy. 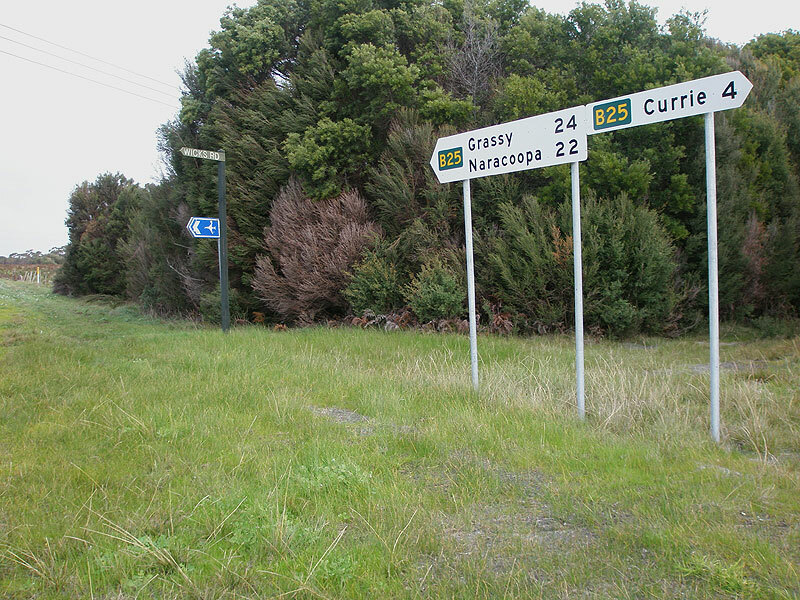 Grassy Harbour Rd is marked on some maps as C246, although no signs currently exist and the DIER denis its existence. 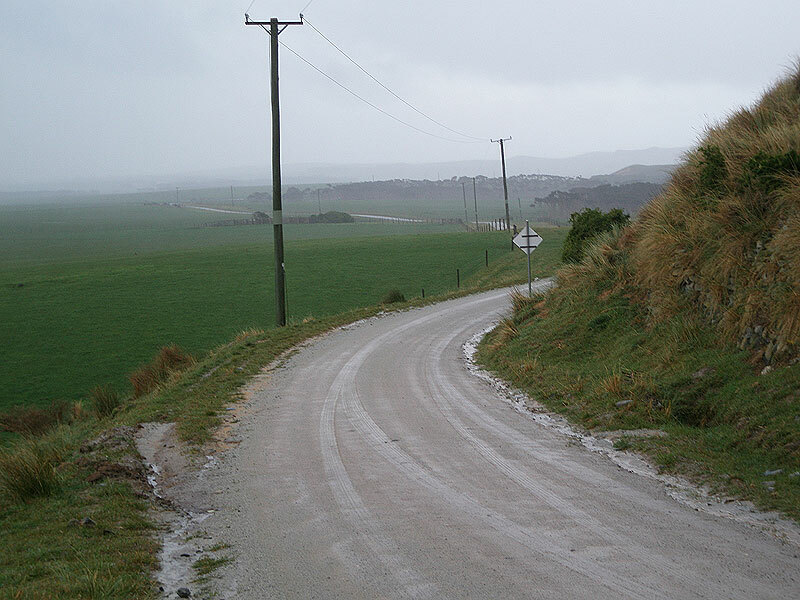 King Island Main Rd (B25) looking east into the former mining village of Grassy, where the route terminates. 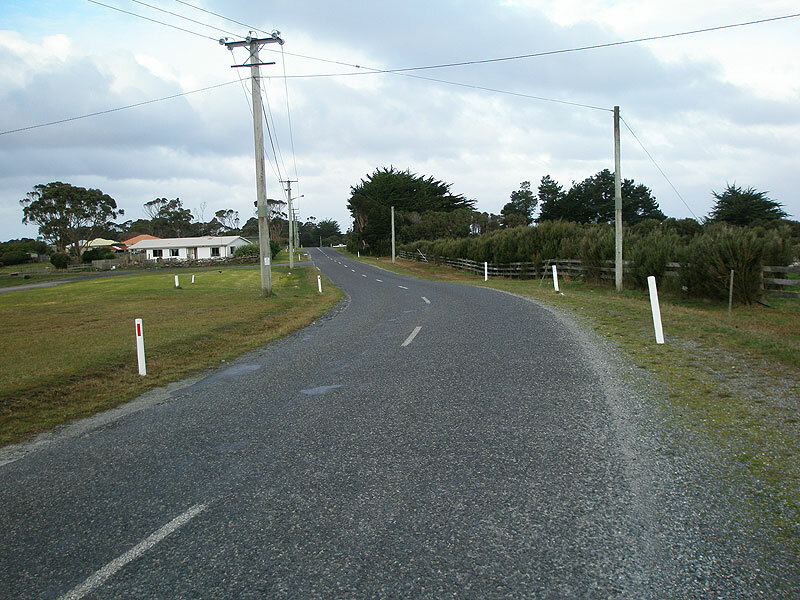 King Island Main Rd (B25) looking east to its southern terminus at Blackwood St, Grassy. 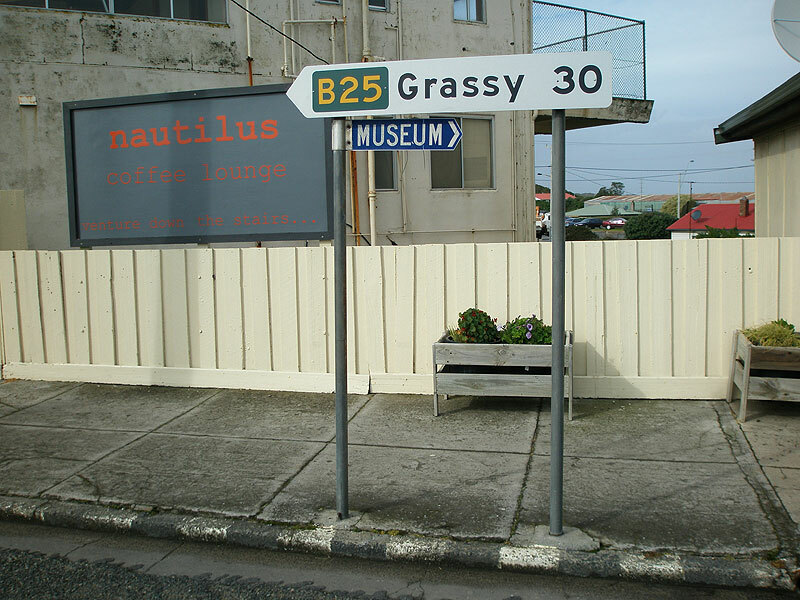 There are no B25 signs at the southern terminus - the first northbound sign is located at the junction with Grassy Harbour Rd.